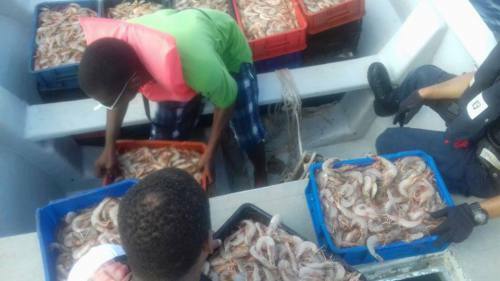 WILLEMSTAD - The Coast Guard intercepted a Curaçao boat with 33 crates of shrimp on board. It is suspected that the 'Don Martin' took over the cargo from a smuggler boat that met it halfway through Venezuela. Upon return, the vessel was intercepted. The three crew members have been transferred to Customs with all their cargo. 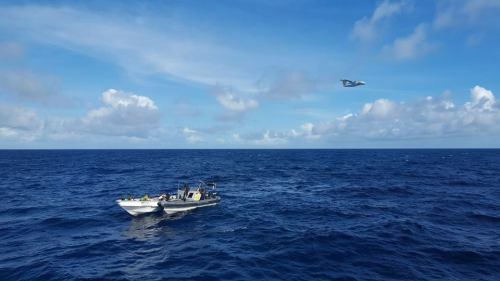 The Coast Guard will continue to intensify its operations especially in the area between Curaçao and Venezuela to combat smuggling.